When I say backyard wedding I am not doing this wedding justice. This was one of my favorite weddings of the year. An incredible Arcadia backyard transformed into the perfect wedding reception. 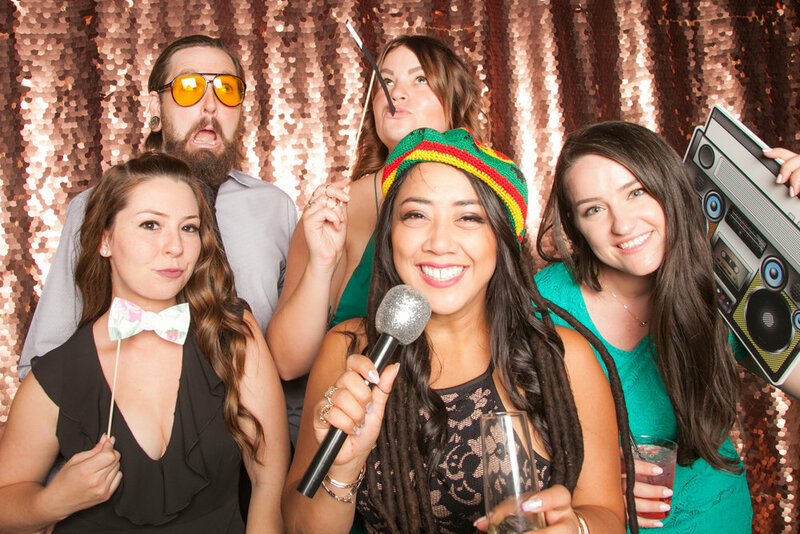 Expect nothing less when using Victoria Canada Weddings & Events! A casual perfection that you don't often find with a wedding. I can't put my finger on it it exactly but I would have been very happy being a guest at this wedding. 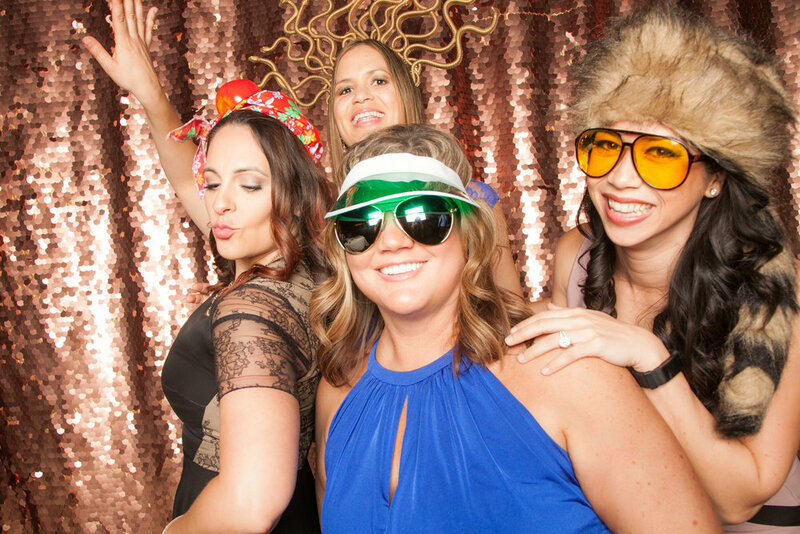 Great weather, fun people, good music, incredible backdrop - and of course our super fun photo booth. The rose gold backdrop stood out so nicely amongst the luscious backyard landscaping. Shimmering. So so pretty. And of course we were busy non stop. A little windy but where there's a will there's a way. The backdrop just swayed with the wind. Lots of happy people and lots of pretty pictures.